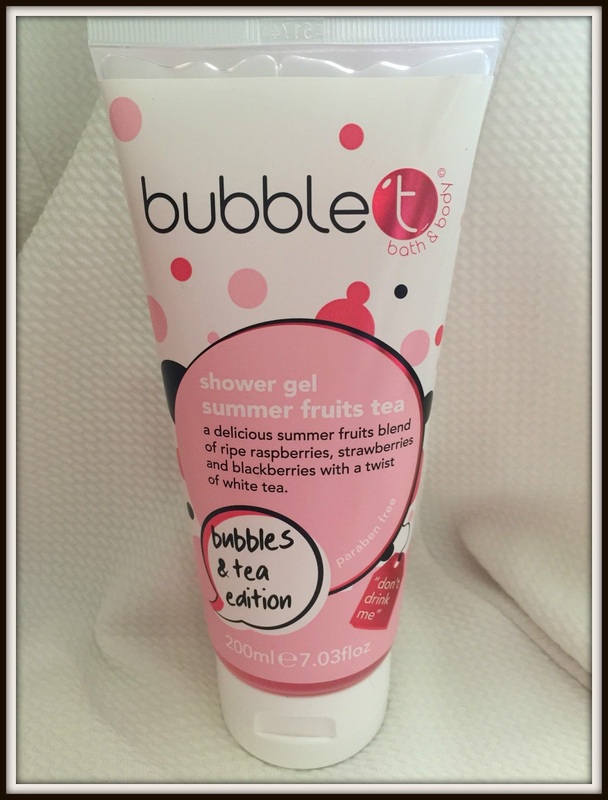 Bubble T have launched a fabulous fun new range of bath and body treats which are designed exclusively for Superdrug. 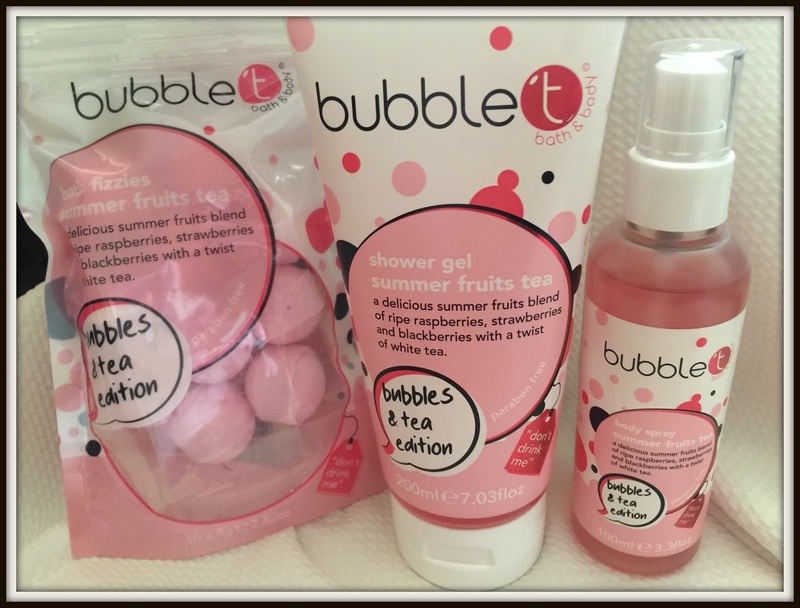 The Bubbles and Tea edition has a gorgeous girly pink design that debuts with their Summer Fruits Tea fragrance including a shower gel, body spray, bath fizzies, melting marble bath pearls, bath and shower jelly and bath infusion t-bags. 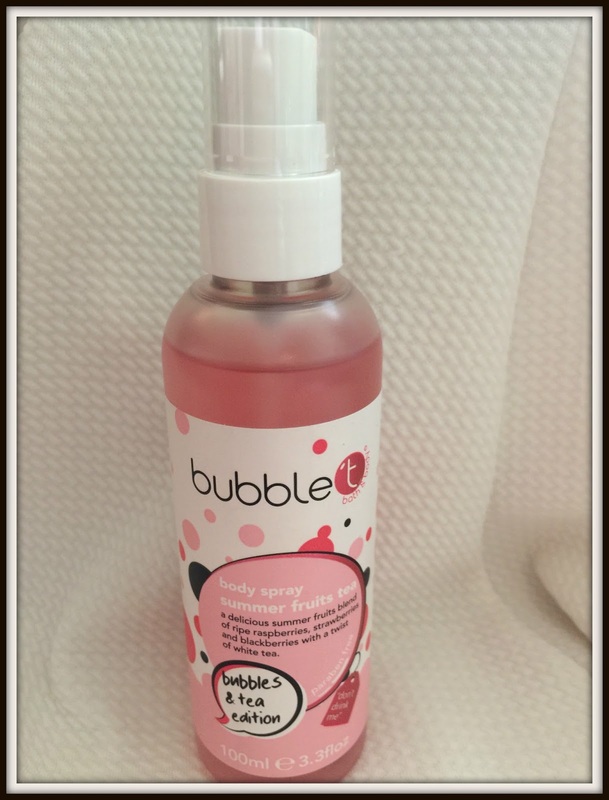 Gone are the days of boring bath products, Bubble T really makes your bathroom come alive. The range is infused with a delicious summer fruit blend of ripe raspberries, strawberries and blackberries with a twist of white tea. The scentsational products are also infused with Goji Berry for added antioxidants. fell in love with the super cute girly design. It seems the products are marketed at teenage girls but I think this would be a hidden pleasure for any girly girl out there! The shower gel has a nice smell but I wouldn’t say it was overly strong. The lather is quite thin and remains quite faint when you have dried off. When I put two of the fizzies into the bath I was expecting my whole bath to change colour like you’d experience with a lot of bath bomb products. 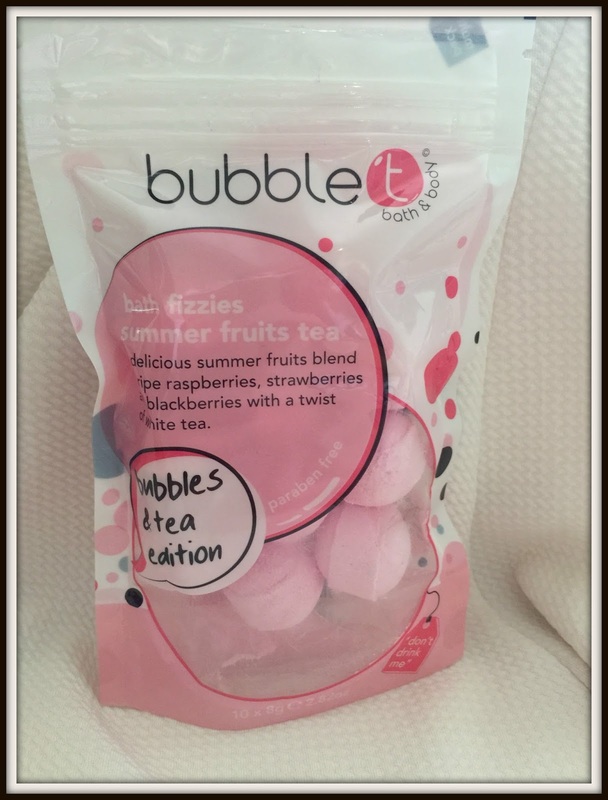 I was surprised to find the fizzies were more of a scent infusion and added the sensation that I was bathing in fruits. The smell was lovely and if you like your bath to smell great but don’t like the change in colour some bath bombs can add these would be perfect for you. They dissolve really quickly and by the time your bath is run only the smell will remain. a perfume I would say the lasting power is more intense then some perfumes that I own. This range is super cute and they have a great smell which is the real selling point. They’re a great price and perfect for when you want something cheap but of a good quality.